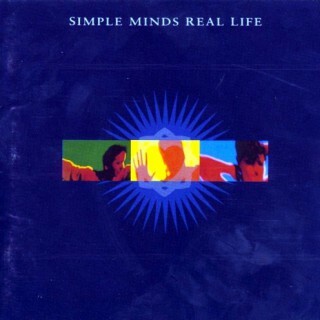 Real Life is the ninth album by the Scottish band Simple Minds, released in April 1991. The album reached No. 2 in the UK. Four singles from the album were Top 40 hits in the UK, including the Top 10 hit “Let There Be Love”. In the US, “See The Lights” reached the Top 40 and also reached No. 1 on the US Modern Rock Tracks chart. 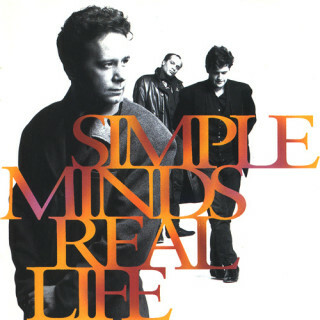 The core band on this album comprise only Jim Kerr, Charlie Burchill, and Mel Gaynor (who all appear on the rear cover). 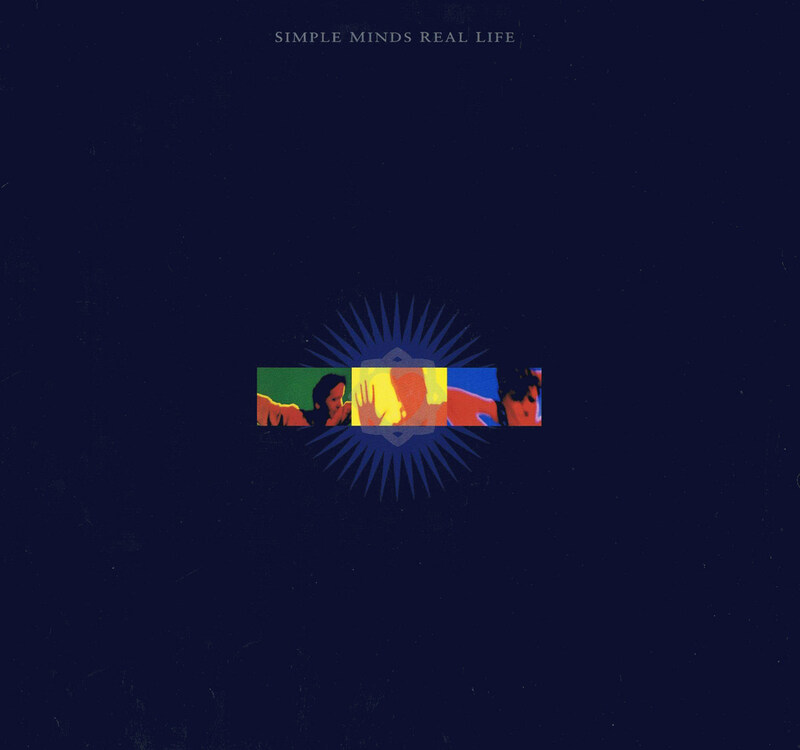 The original album cover was replaced in later pressings by the original rear cover shot of the band. All songs written By Kerr. Burchill. Woman & Travelling Man written By Kerr. Burchill. Lipson. Rivers Of Ice Music By MacLachlan. 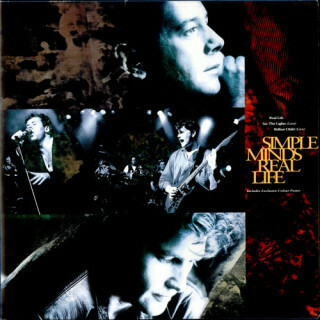 Lyrics & Arrangement : Simple Minds. Mixed at Olympic Studios 2 & 3. Design & Art Direction : Stylorouge. Credits: Produced By Stephen Lipson. Engineer & Midi Manager : Heff Moraes. Mixing Assistant : Giles Cowley. A&M Assistant : Efren Herrera. Orchestral Engineer : Gary Thomas. Food : Ying Ho Au-Yeung. A&R Coordinator : Jane Ventom. Guitars & Keyboards : Charlie Burchill. Keyboards : Peter John Vettese. Backing Vocals : Carol Kenyon & Sonia Morgan-Jones. Orchestral Arrangements : Will Malone. String Leader : Gavin Wright. Bass & Keyboards : Stephen Lipson. ‘Shaft’ Guitar on African Skies : Alfred Bos.